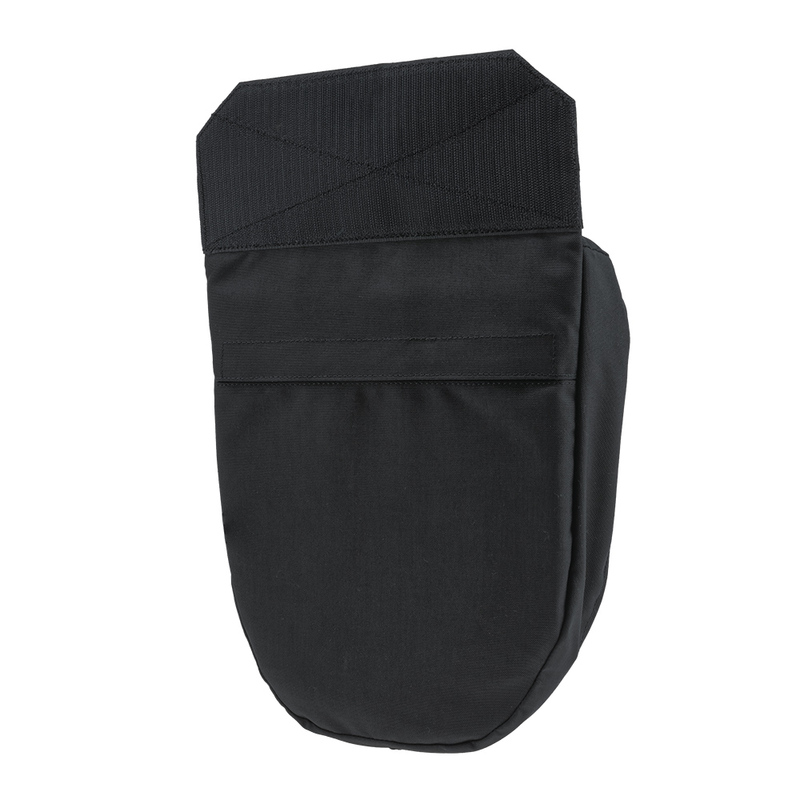 Plate Carrier Down Accessory Pouch Black, adds additional storage to your plate carrier or armor vest without taking up valuable modular real estate. 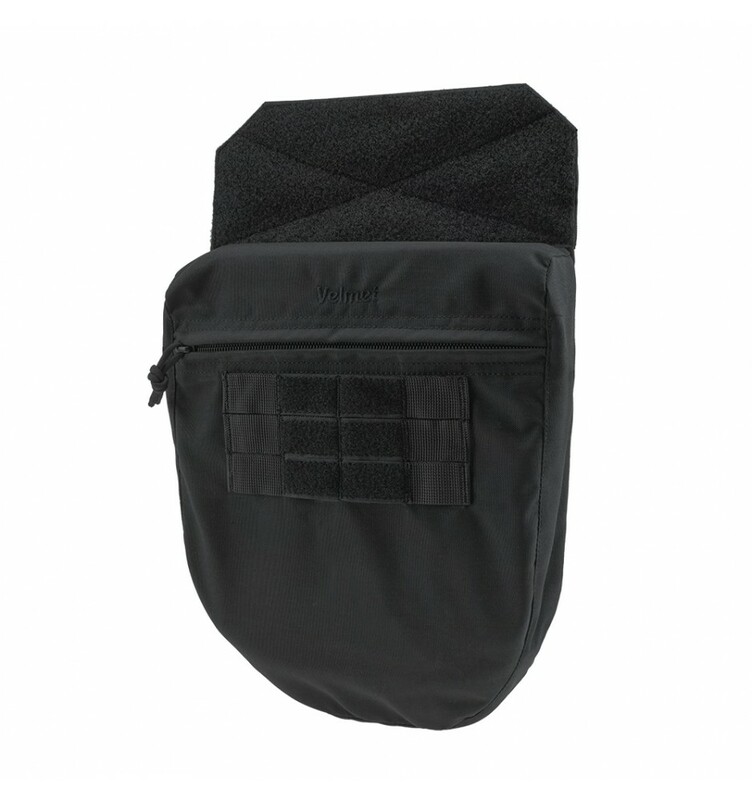 The pouch hangs from a panel that is inserted in between the flap securing the armor inserts or plates and is held securely by dual sided hook and loop. The Tactical Groin Protector Carrier – is a special product from the Ukrainian brand "VELMET". 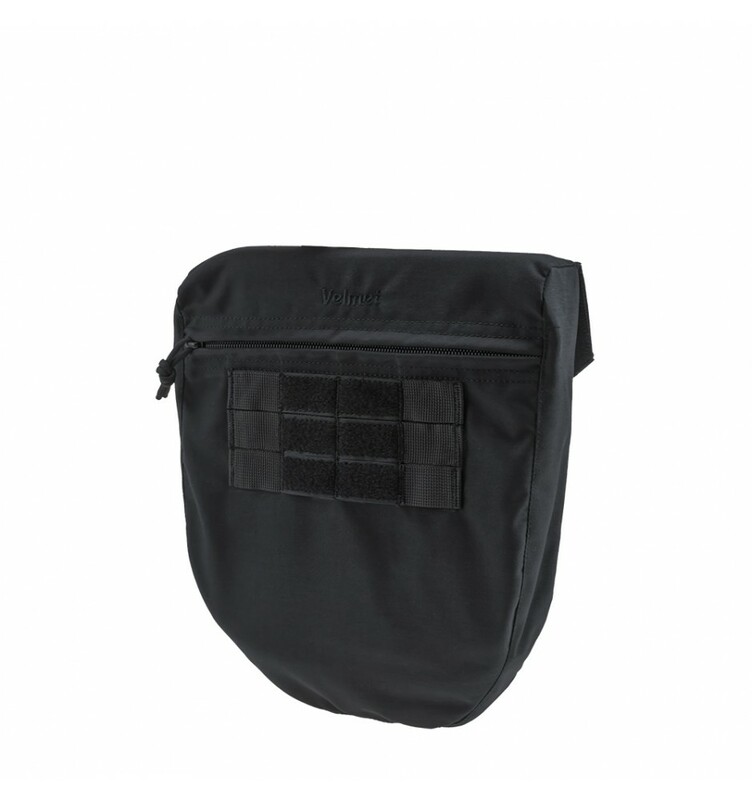 The carrier is designed for securely placement of a groin soft ballistic protection element with an area of ​​about 0.7 sq ft. A groin soft ballistic protection element places in the back side pocket, that closes on a durable wide Velcro. There is a volumetric pocket on the front side, that closes on the zipper. 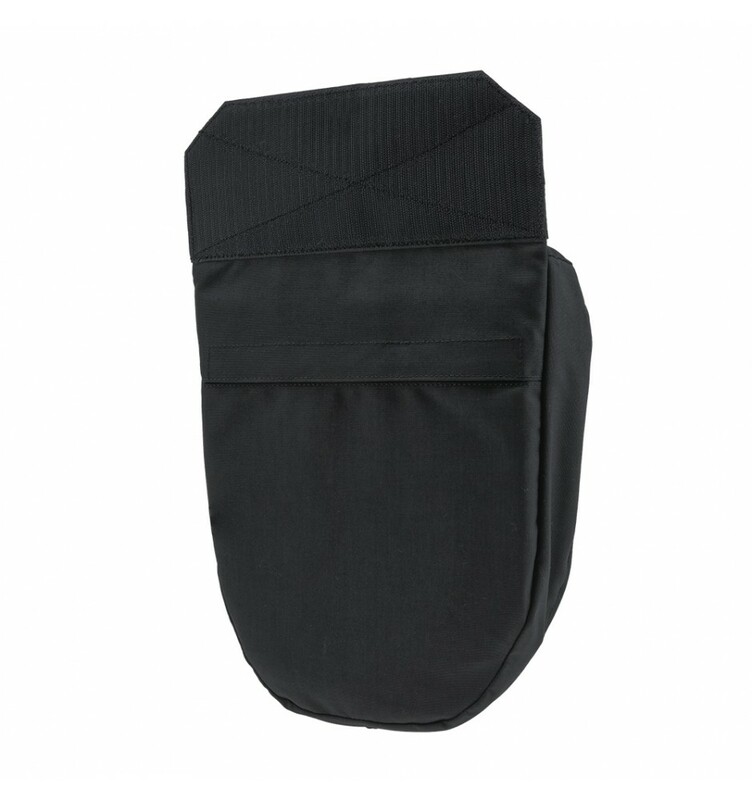 A wide loop Velcro platform is placed inside this pocket for fixing the most essential things. On the outside, there are 3 rows of PALS webbing for attachment of additional equipment and tools. The carrier attaches to a body armor/plate carrier by a wide panel fitted with Velcro. The product is compatible with most models of a groin soft ballistic protection elements, including the element of body armor "Korsar-M3". 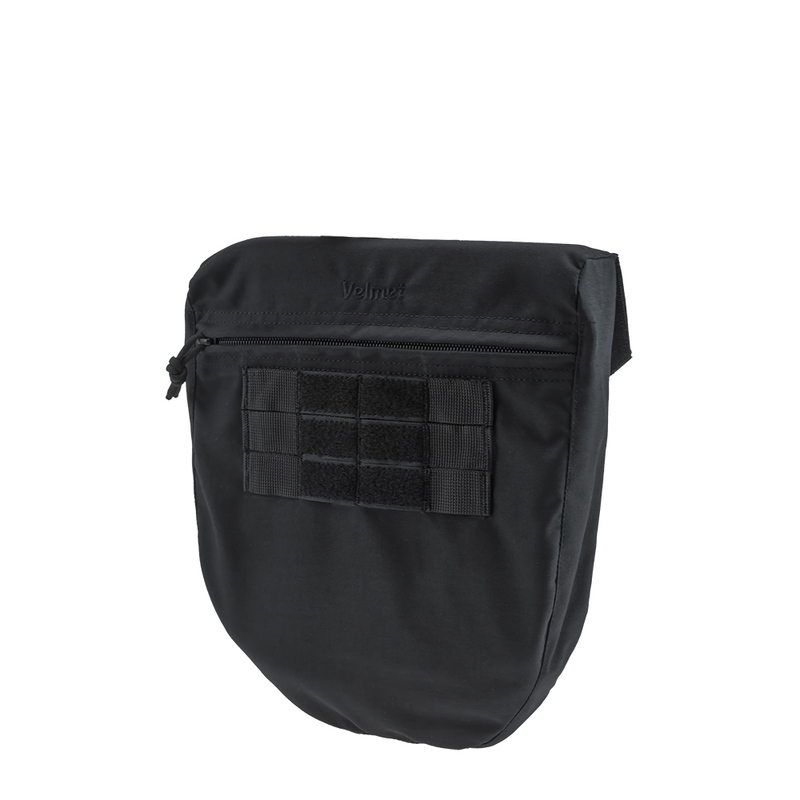 Due to its special design, this tactical groin protector carrier provides the necessary functionality and freedom of movement.